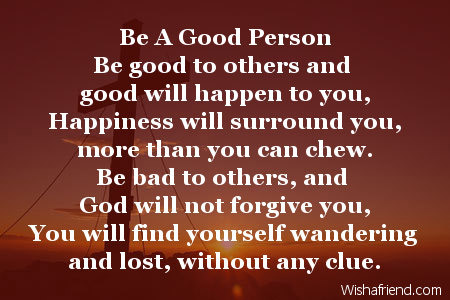 Searching for god poems? Get some unique poems about god right here. You can share/send these poems to your friends via Text/SMS, Email, Facebook, Whatsapp, IM etc. I don't want to pray to God. I don't want any guidance from God. 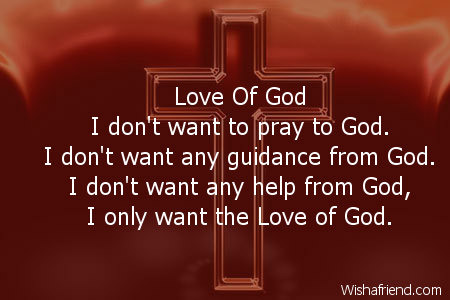 I only want the Love of God. 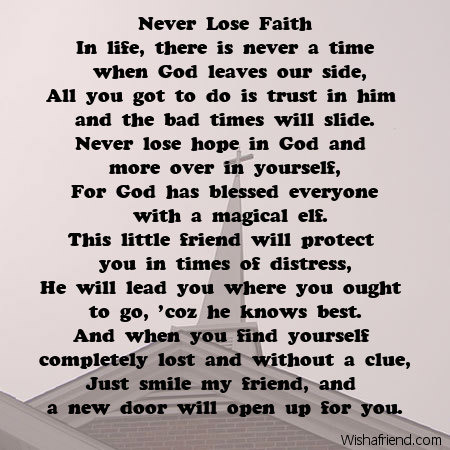 There will never be a time, when you will find yourself without a friend. 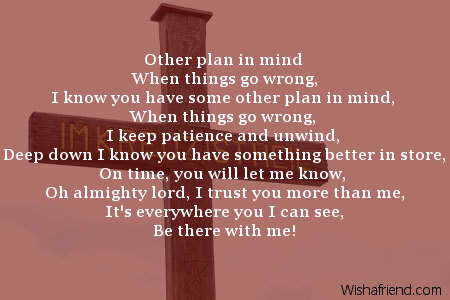 Close your eyes and put your trust in him, and a true friend will appear. Happiness will surround you, more than you can chew. You will find yourself wandering and lost, without any clue. He makes our life magical, and so beautiful. And he will make them disappear without a thing. 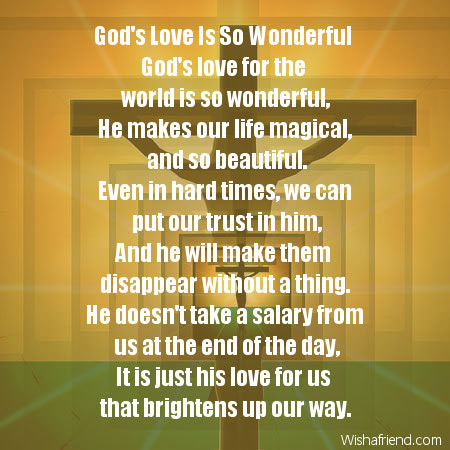 It is just his love for us that brightens up our way. 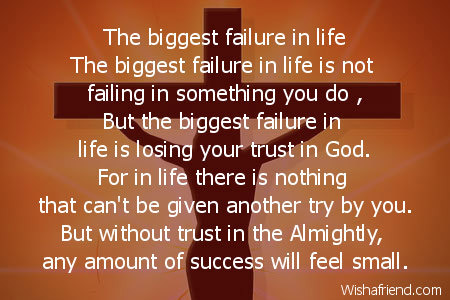 But the biggest failure in life is losing your trust in God. For in life there is nothing that can't be given another try by you. But without trust in the Almightly, any amount of success will feel small. 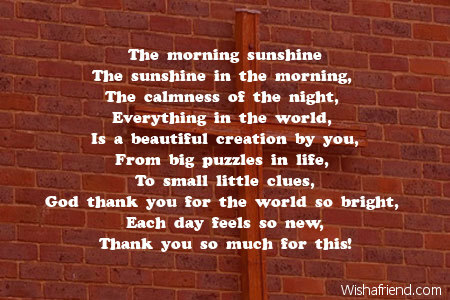 I wake up with a big bright sunshine smile. For I am in a world so beautiful and so majestic. 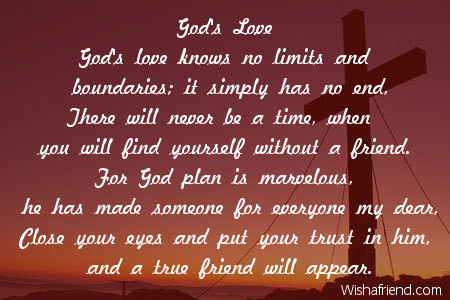 I thank him for the love around me that has no end. 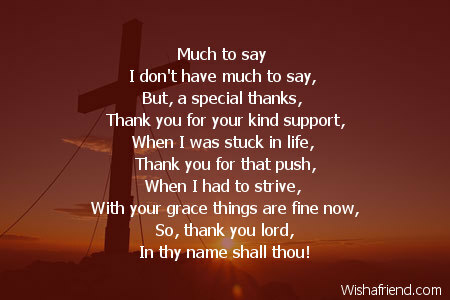 I thank him for granting me more blessings than I can hold. 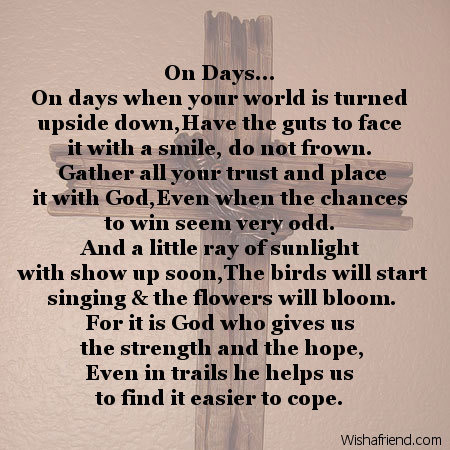 And when you search for hope, yet find none. 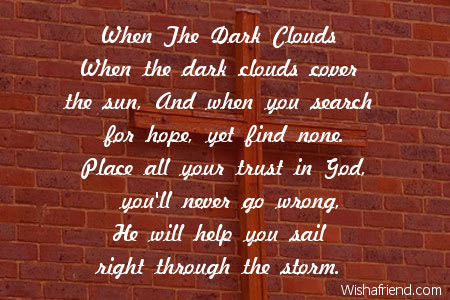 He will help you sail right through the storm. Have the guts to face it with a smile, do not frown. Even when the chances to win seem very odd. The birds will start singing & the flowers will bloom. Even in trails he helps us to find it easier to cope. 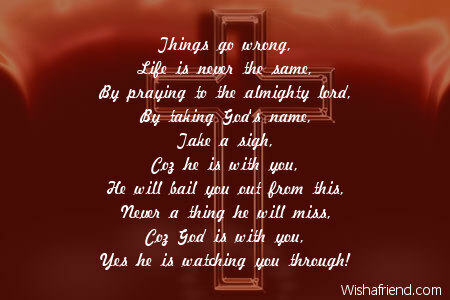 Yes he is watching you through! 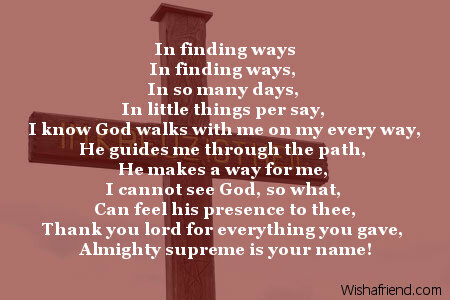 Almighty supreme is your name! In thy name shall thou! 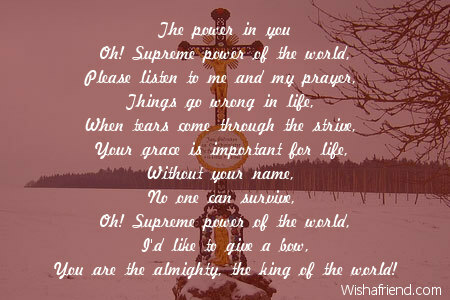 You are the almighty, the king of the world! 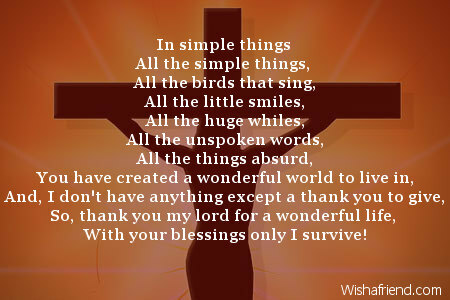 With your blessings only I survive! 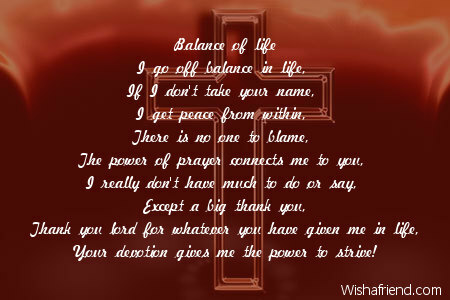 Your devotion gives me the power to strive!